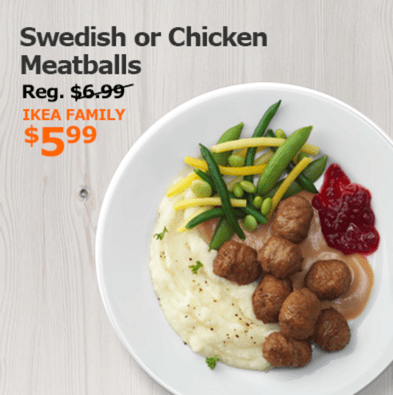 IKEA Canada Offers: Save $1 off Swedish Meatballs, Chicken Meatballs or Veggie Balls for All February! This IKEA Canada offer starts everyday at 11 AM in-stores from today, Wednesday, February 1, 2017 until Tuesday, February 28 , 2017 only. Take a break and enjoy a delicious taste of Sweden in the IKEA Restaurant during February promotion.